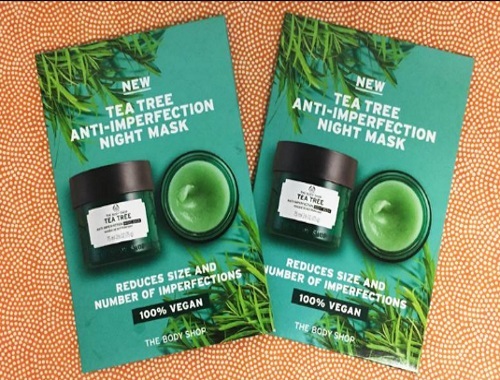 Be one of the first to experience the newest addition to the Tea Tree range from The Body Shop for free! Enriched with Community Trade tea tree oil, the Tea Tree Anti-Imperfection Night Mask reduces the appearance of imperfections overnight and soothes and rebalances night time oiliness, leaving the skin instantly purified. Download a coupon to claim your Free sample at the link below and share the exclusive offer with your friends! Coupon is redeemable at participating The Body Shop retail stores only until September 3rd, 2017 or while supplies last. Offer not valid online. Click here to get your Free Samples.